Wedding dress and couch previously illustrated sold, so all change. 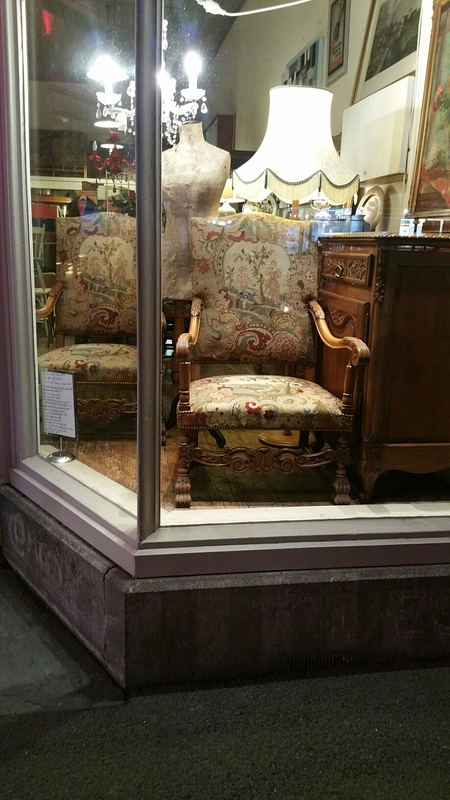 Two armchairs 1400, battered mannequin 630 and signed oil painting 890, fruitwood sideboard 1815. All four from France. The first three were in Paris a month ago. ← Lakeside window Saturday night.